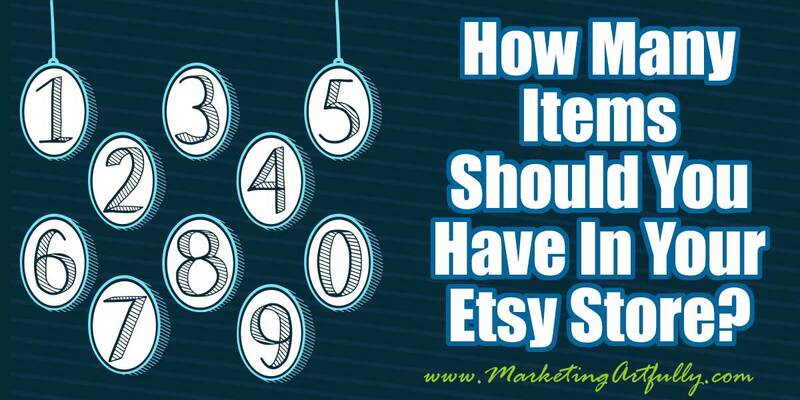 How Many Items Should You Have In Your Etsy Store? You are here: Home / Etsy Marketing / How Many Items Should You Have In Your Etsy Store? 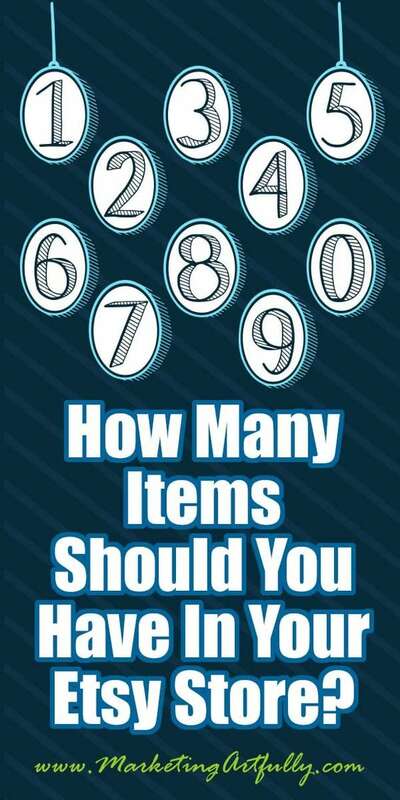 I have been wondering how many items should you have in your Etsy store. There is a lot of speculation about this on the forums and you hear anecdotally from Etsy sellers that they started selling more when they got to this number or that number, but even with a lot of searching, I could not find a definitive answer. So back to my friend, data! I am going to research the top listings in a variety of categories to find out “the number”. That elusive place where you have the best chance of selling. I am doing this to find “the number” for my Etsy stores, Paperly People (which sells digital products) and Glamorously Vintage (which sells physical goods). Why Do The Numbers Matter? It is creepy for buyers if you only have a few items in your store. They feel like maybe you are a scammer or that you are not professional. People like to see new things in your store (this one is more about retailing than data, but it is why stores come out with new “lines” every season, to keep things fresh). This is just a snapshot in time and isn’t perfect, but is a damn sight better than guessing or speculating from what people said they did. This is truly non-scientific and just based on random searches, but at least it gives me idea for what to shoot for. As my compter nerd, math geek husband says, I am not using valid data, but it is what I have and it is better than nothing. Here are the data for the average of the top ten from each search I conducted and then the overall number (see below for specific categories). I included a link to the shop if it was an independent seller. No companies were linked. While I was at it I included the number of sales and the date their shop opened just for my own edification. 1. The average of the average minus the highest and lowest number is 172.75. Mathematicians everywhere are pulling their hair out because you can’t average an average, but I just need a number to shoot for and this seems like a normal sort of number after seeing all the shops I checked. 2. To me that is even a little high, most of the shops that I would want to emulate had about 100-125 items in them. That seemed to give a nice selection without be so overwhelming as to not make sense to an independent seller. 3. You could tell some of these were not handmade items at all, nor were they supplies. Especially in the jewelry and wedding categories you could tell that there were manufacturers who were just using Etsy to sell. While that seems “not fair”, it doesn’t matter because it is just a fact of life. 4. Last but not least, the number of items and the number of sales were interesting. Shops with low numbers of items generally had lower sales and shops with more items had more sales, BUT that doesn’t mean there is a correlation. Some shops with few items and who had been around a long time had higher sales. For me as a newer Etsy seller, this tells me two things. 1) It is good to have more items within reason and 2) it just takes time. I know that is not the “easy button” answer, but there really is no way around it. To have a successful shop you need to create a great product that people want to buy and build up sales over time. IKNOW, this is not a definitive number, but have worked with hundreds of Etsy sellers over the years, I can tell you that having more (quality) items in your Etsy shop will increase your sales. Sellers that start with just a few listings and hope that they will be able to rank in search for a just a couple of keywords tend to struggle to get traction. That said, don’t despair if you only have a few listings right now! Start slow and build your numbers up over time… you will get there soon!